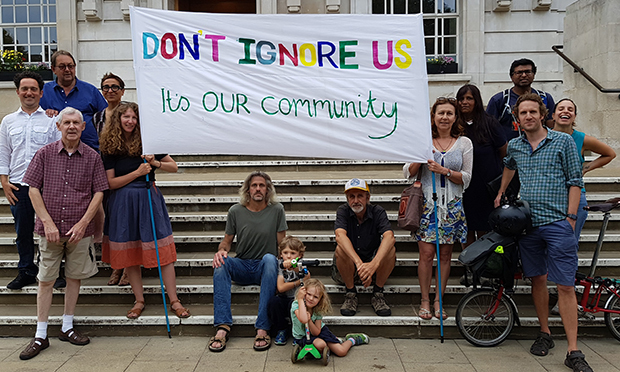 Hackney Council has approved a contentious plan to build affordable housing on the site of a community garden in Clapton – and a compromise of a permanent growing space nearby has not gone down well with campaigners, who are instead threatening legal action. The Daubeney Road plot, owned by the council, was temporarily loaned to local residents, who have spent years turning into a thriving growing space. Campaigners have fought hard against the proposals, but a Town Hall planning committee last week gave the council the green light to forge ahead. The council says the decision means underused garages and car parking spaces on the site will be replaced with “genuinely affordable” housing – more than half for social rent and the rest for shared ownership. And in a attempt to satisfy campaigners, it has earmarked land on Redwald Road for a permanent community garden. Hackney Mayor Philip Glanville said the compromise shows the council is “building not just homes, but communities too”. But a “disappointed” Gerry Tissier, chair of campaign group Daubeney Fields Forever, said: “The planning committee disregarded the overwhelming opposition of residents to the proposals in the statutory consultation. “It ignored the voice of over 700 people who signed petitions calling for a sustainable development. And it failed to address several flaws and factual inaccuracies in the planning report. “This application was put in by Hackney Council, supported by Hackney councillors and decided upon by Hackney councillors. Tissier, who said residents are now weighing up the possibility of asking for a judicial review of the decision, is also underwhelmed by the council’s olive branch. 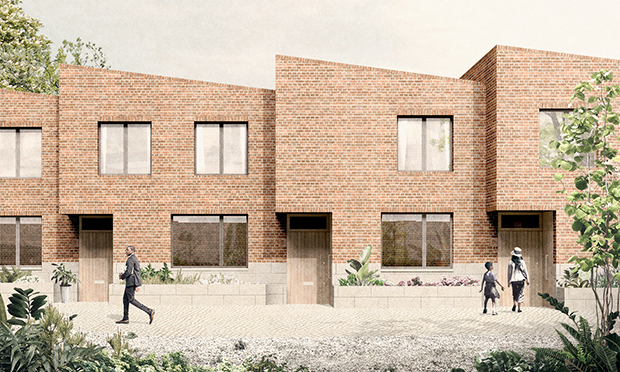 He added: “The Daubeney garden lies in safe, secluded area at the end of a quiet residential street blocked to traffic. “It is walled by a beautiful mural made by the community 38 years ago, painted with tropical birds and a greenhouse mosaic. He said the current location “helps to bring the area’s diverse communities together”, sitting close to children’s centres, schools and the local park. “All that will be lost when the garden is moved,” he added. “The new site is on a main road, next to a bus stop, and exposed to the fumes of passing cars. “It is an open site bounded by barbed wire. It has no connection with the park and is too far away for primary school children to use for outdoor learning. The community will lose its mural and its meeting point. Mayor Glanville said: “With a clear need for genuinely affordable housing in Clapton and across Hackney, I’m delighted that we have been able to bring forward plans with local councillors and the community to ensure this land is put to its best possible use – to help deliver new council homes for people that need them most. “But we know that the temporary growing area on the site has become valued by local people, which is why we’ve ensured that it can now continue as a permanent facility nearby. The council says work on the new homes is expected to begin early next year and finish in 2020, and that discussions with local residents about the new community garden will begin this summer.